Recently I met a student who consciously limits herself, to just one project at a time. My reaction? WOW, especially since I have so many UFO (un finished objects). To further illustrate, I’ve got 7 projects that are all at different levels of finishing. Yes I know!!! It sounds ridiculous to some, even to me, now that I’ve seen it in writing! There’s no nervousness following that revelation. How I hear you ask… well for one, I get to switch hooks when I switch projects. I am quite happy to have different hooks to use, especially as I find it tedious to work with a small hook for too long. Sometimes, once I’ve worked with a small hook, I’m relieved to move on to a bigger hook and open up my hand & stitches. It helps too when the rows are speedier to make!! I also firmly believe that I will go back and finish off all my projects. I know I will, because I love them all. Like a gardener with a baby plant, my projects deserve love and nurturing. If I’m forcing myself to work on something, the design will never fall right. Sensible design, is firmly based in simple craft. That will only come through in my work when each moment on each project is spent with love. The love shows in my competed work, my design, my pattern writing and in my teaching- which is what I love the most. Moral of the story- don’t be scared to diversify. Try new things, don’t hold back- Take the Plunge with that new project you have been thinking about. You are going to love your craft even more. Enjoy your crochet! Have an adventure. Travelling around has one great reward! It’s discovering things and learning from them. 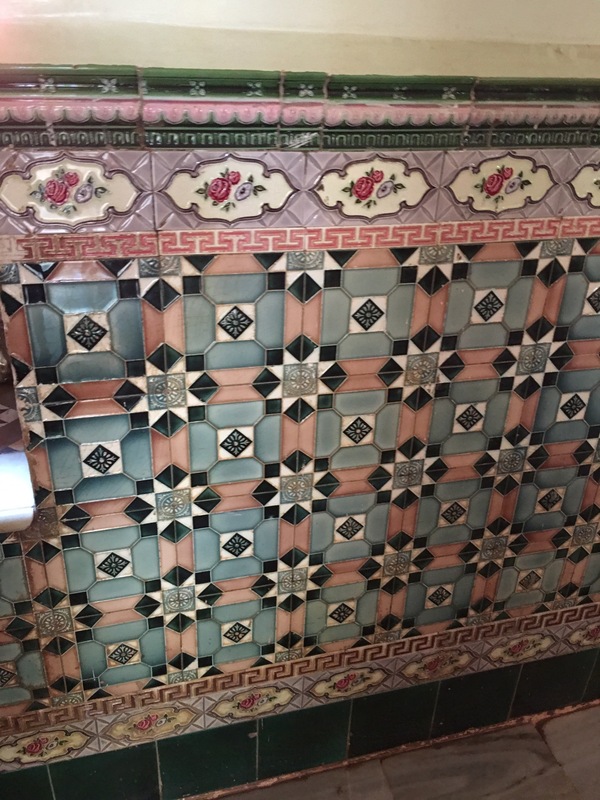 I was pleasantly surprised to find crochet inspiration hidden in little things like the pattern on these old tiles in a very old Hindu temple in Goa. 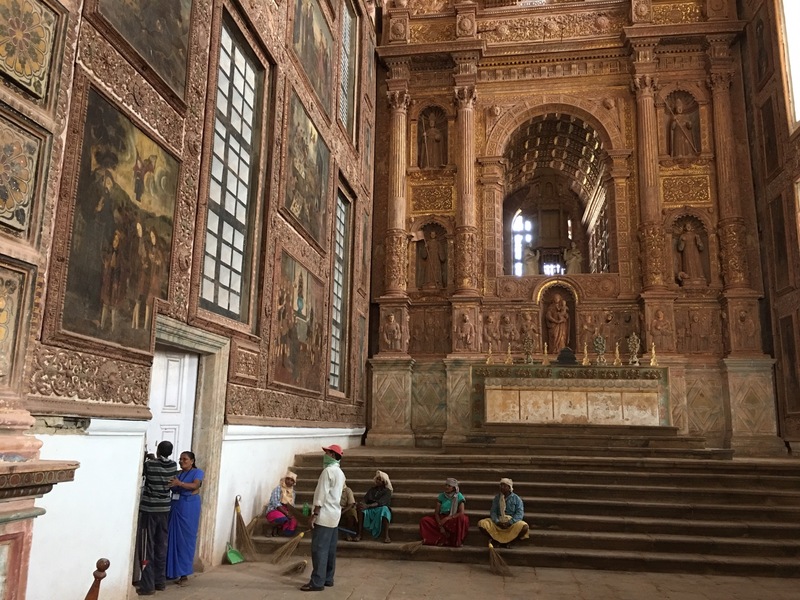 Goa is a mainly Christian region which was originally colonised by the portugese when they first came to India. 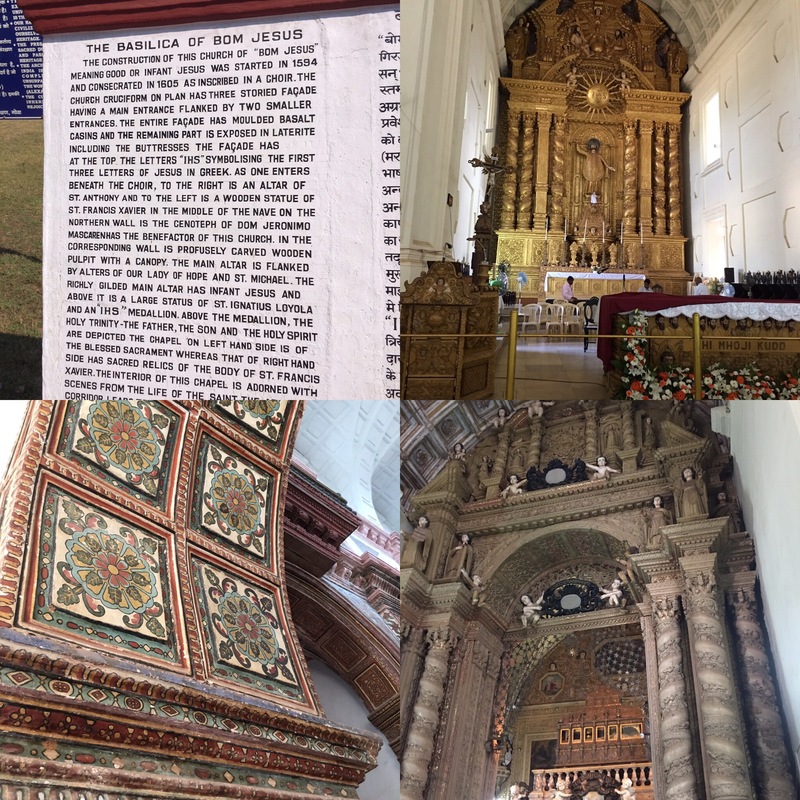 Goa boasts many beautiful churches of which we managed to see two. 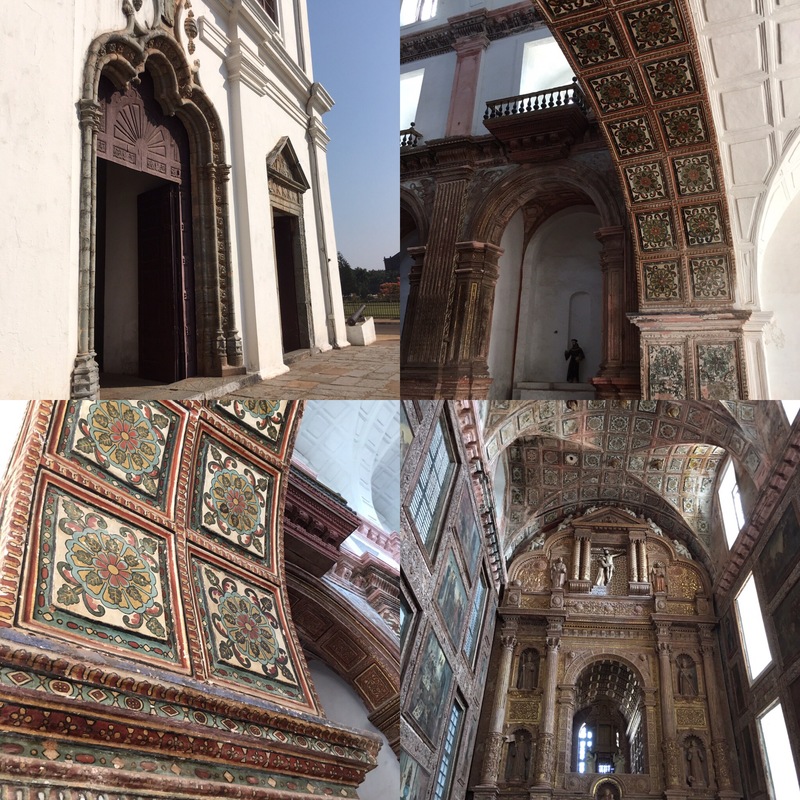 The gorgeous Portuguese architecture is breathtaking and as we were there in the wake of Christmas celebrations we got to enjoy the decorations too. The first church we went to was started in 1594 and dedicated to infant Jesus. I have a few photos to share below. I found it inspirational being able to visit and appreciate the churches even though we are not Christians. However I was also a little surprised to find that there was little or no care taken to preserve these ancient relics. Old Paintings that adorn the church walls are not protected in any way and some have scratch marks where people have defaced them. Another thing I found surprising was that the staff employed for the cleaning of the churches didn’t seem particularly keen or trained in their job. Once you learn to ignore the crowds and the other little things which we are so used to in our part of the world, you begin to see things as they really are. For example the floor was broken and mostly just dusty but miraculously the churches are very well preserved. They are clean, enjoyable and full of beautiful treasures form Goa’s illustrious past. I hope you have had a wonderfull Christmas. Thanks for reading and I hope you enjoyed the photos and writing. We are all getting ready for a trip away to India 🇮🇳 Yeah! We are going to visit my husbands family in Delhi. The kids are so excited and so am I, but the long plane rides seem tedious at first. Flying With just one connection we will initially have a 9.5 hr flight then a second one which is about 6 hr long. So here’s my plan… to cut down the boring feeling…. I’m just going to pack lots of yarn, hooks and patterns. That way I’ll be busy and hopefully not notice the time. Fingers crossed. 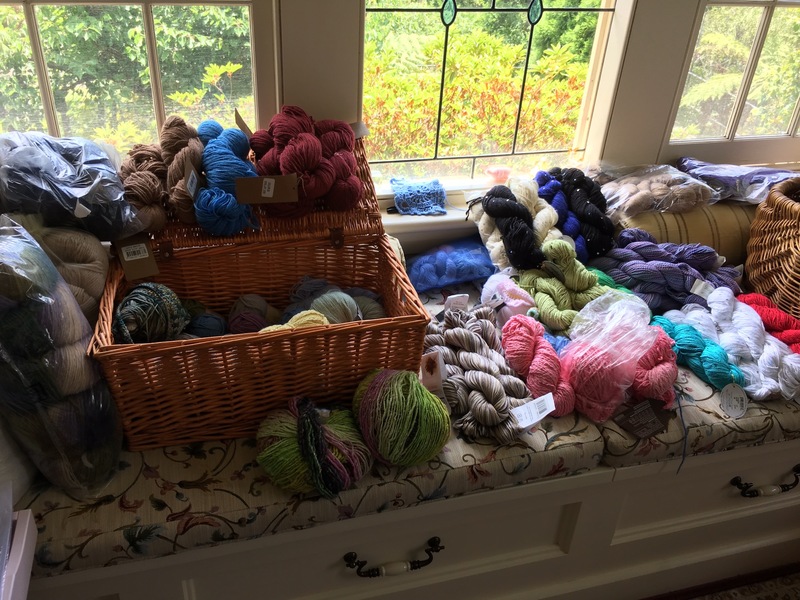 Here’s a photo of a part of my yarn stash. It must be days that I’ve lingered and lamented about what yarn to pack. I guess I have bought quite a lot of yarn recently, most of the times just for the love of yarn. I guess I’m worse off than those who know what they are buying as they have a pattern ready to work off. Unfortunately I’m too disorganised and never quite know what to do when I buy yarn, I only work that out as I go. Finally I’ve managed to pack 6 projects worth of yarn! Do you think that’s too much? We are only away for 3.5 weeks but I want to use my time to create awesomeness…. That reminds me… did I share with you all that I’ve finished my beautiful boxy jumper to take with me to India? Again no written pattern yet, but I’m working on it and please send me a comment on my inbox and I’ll make sure I’ll send you a copy once it’s all ready. It’s soft, squishy and perfect go wear with skinny jeans and some boots! So I have packed my hooks set, a pair of blunt edged small scissors and my stitch markers. Hopefully they won’t chuck it all out at immigration. Hello everyone I’ve been loving my time recently. I’ve had a real mix of days with some spent busily crafting and crocheting, whereas with other days I’ve been on the phone to colleges persuading them and promoting crochet. As a result I’m happy to report I have had a few small successes. There have been a few failures, yes there are always those who don’t agree, understand or just haven’t seen life like we have and don’t think about ancient arts like crochet and how beneficial they can be. I’ve put together a list of my current and upcoming courses at the end of the blog if you are interested! It was an amazing experience with so much to learn for me. 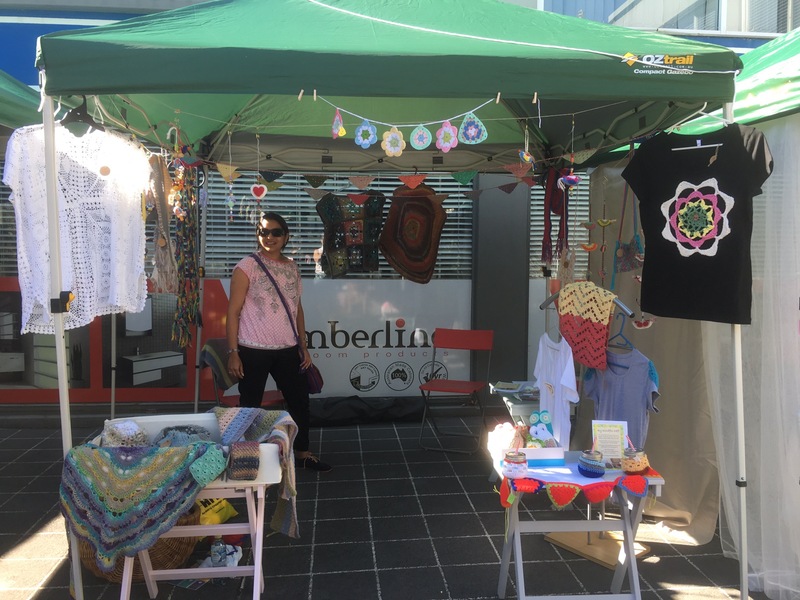 From the thrill of making my first sale… to the disappointment when people eye over my handiwork and then suggest I take a few dollars less for it. I don’t know if you have felt this way, but I was very irritated. I mean how much can you discount a $10 item? I can offer to take $2 or $3 off but it makes me feel like I’ve demeaned my self and my work. I guess that was the lesson for me, I learnt a few new things. 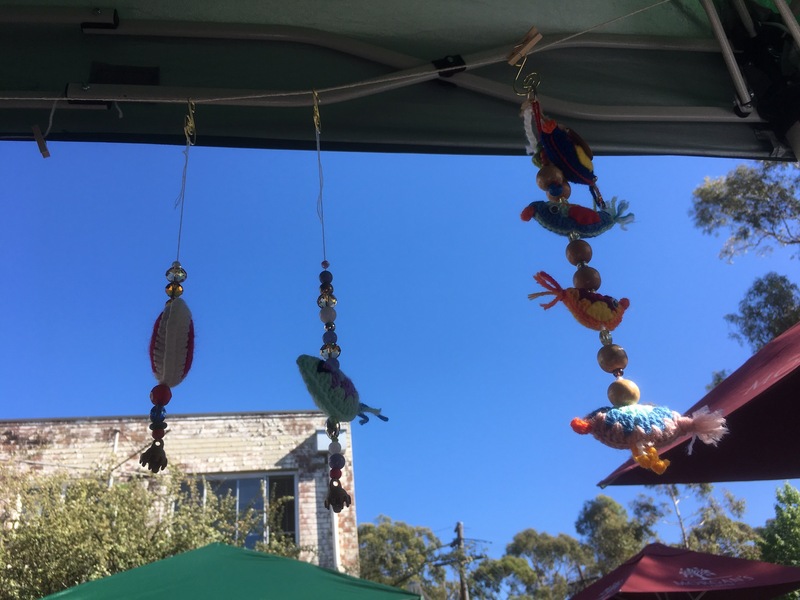 Don’t know if I’ll go rushing into doing another market, but I did enjoy the music, the appreciative comments about my work and the social interaction. On another note, I’ve taken another leap of faith and decided to host my own course. It will be all about granny square and I’m so excited! I’m busily crafting my ideas into projects for the course… god willing I will have my enrolments and it will all go ahead! I give thanks in my quiet moments of gratitude. Here is a list of my courses should you be interested! Thank you for reading and I hope you’ve had a lovely crafty and rewarding time too! The thing about us people… we all, at some time or the other, forget to stop and smell the flowers. We keep wanting to achieve more, fight harder, get up there and forget that it’s not about getting to the top, it’s about the journey. I wanted to share this with you. These words mean a lot to me, maybe because I feel they teach you how to lose. Winners are always there in the media, thrust in our faces, big smiling champions who become inspirational to young and old. But who ever looks back at the runner up, the consolation prize winner? In my view these people are equally inspirational, in fact more so as they teach you how to deal with the setbacks and look at the future for the sake of the big picture. 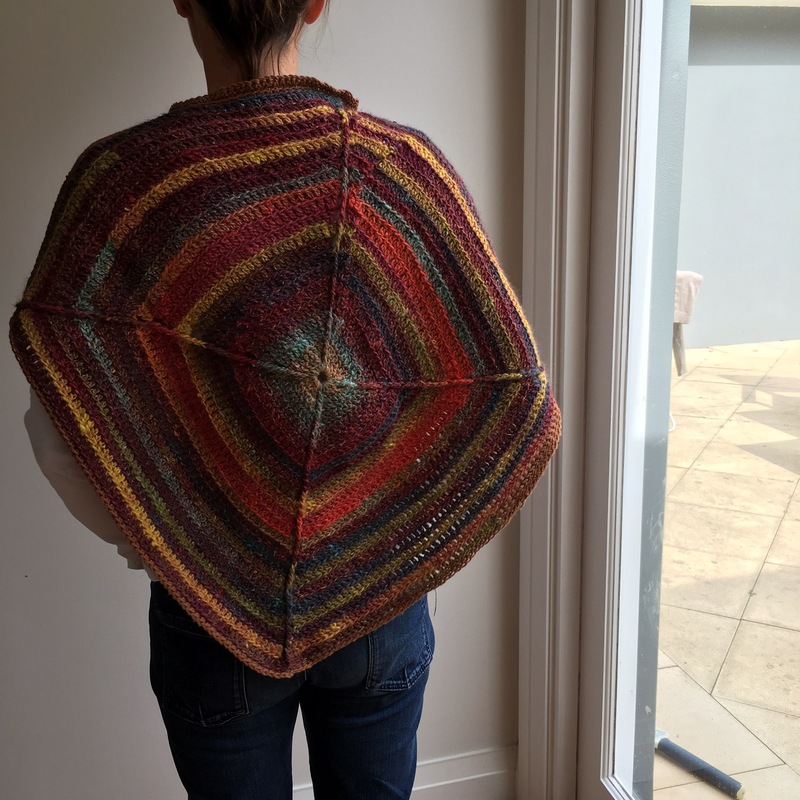 I know this is a non-crochet blog, but I wanted to write this down. More to remind me and maybe my kids one day, the value of being a loser and then getting up again. It happens more than once and we all need something inspirational to turn to. Hope you are all having fun, being happy and crocheting up a storm. I’ve never really taken to super chunky yarn, it worries me to wear such a thick garment. I’m not sure it looks good… especially on my pear shaped body. So I’ve stayed away from it and never really used it for anything. I had thought that one day maybe for a blanket or something I might give it a try but there was too much other stuff to concentrate on. That was until I saw this gorgeous super chunky merino called Araunciana maipo. I lusted after it once I saw it… but bought it with much apprehension. You know we all have a journey from when we buy the materials until we decide what to do with it. That’s a bonding journey… (unless you already know what you’re making and buy just for that.) I never do. So I embarked on my bonding journey with this yarn… I stared at it for a few days, (hugged it too), researched patterns, invested in a big hook… then got frustrated because I couldn’t find the project I wanted to make. 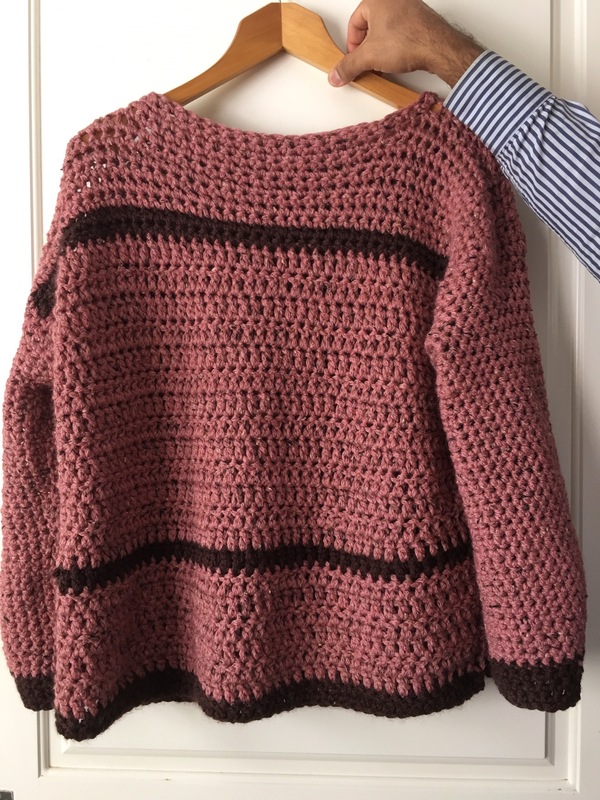 At which point I decided just crochet with it, no pattern, no idea on what to do… JUST DO IT! 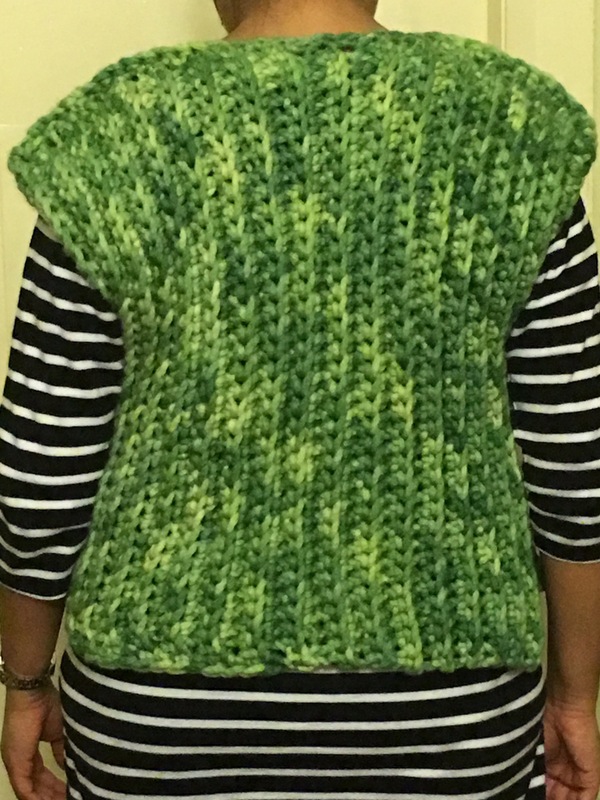 It’s a sleeveless vest, closed at the front, with practically no shaping and a simple V neck. The ribbing is a simple front post HDC. I do wear it which means it’s passed a certain test in my mind. I really enjoyed how easy it was to work with, quick to complete and yes the most important thing was that it didn’t pile when I unravelled it to rework a line. 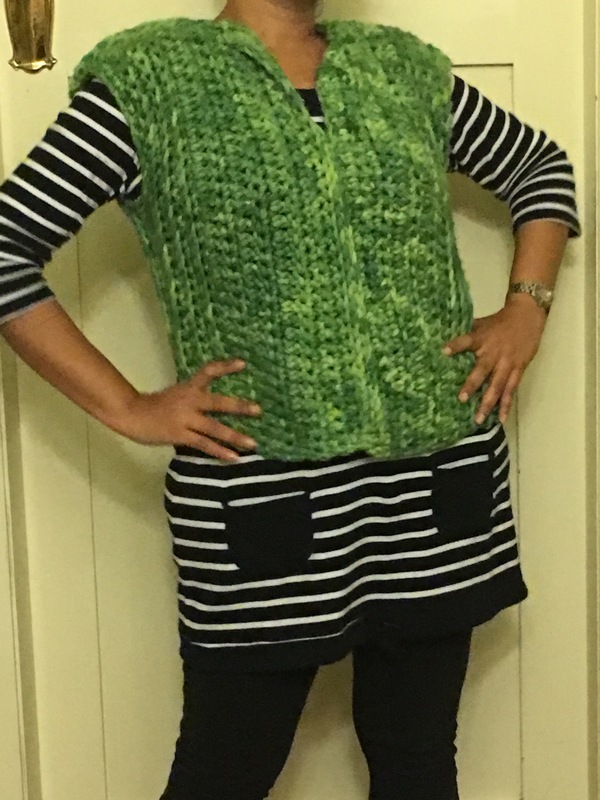 (Yes it took many unravelled goes to make it work) it’s turned out into a usable and loveable spring garment which is easy to wear. Hope you enjoy the inspiration and keep having fun! Please let me know if you’d like a pattern. I haven’t written anything yet but I’m sure that I will write it soon and I’ll be happy to share it. 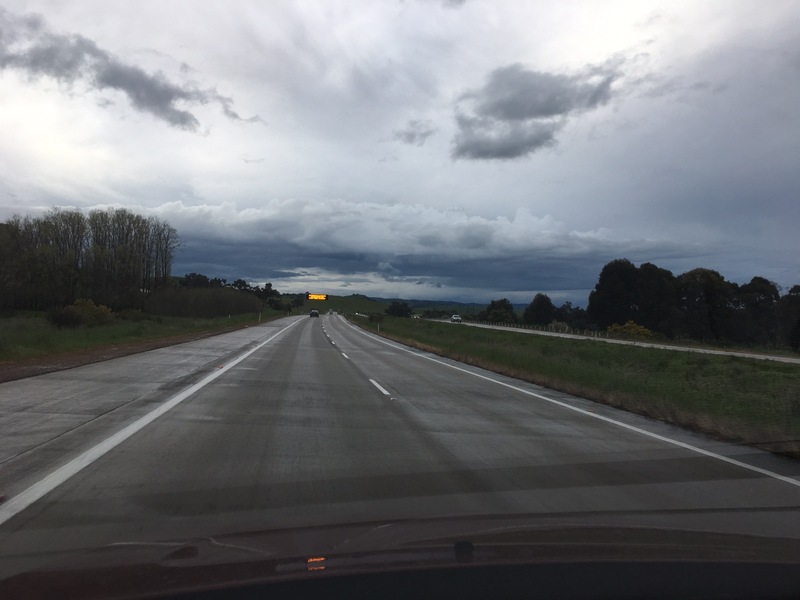 We have decided to take a trip to country NSW and country VIC. Our family loves all things old… old towns, old things, antiques and old trails. We found some very interesting things in this little town which today identifies itself with an outlaws antics. 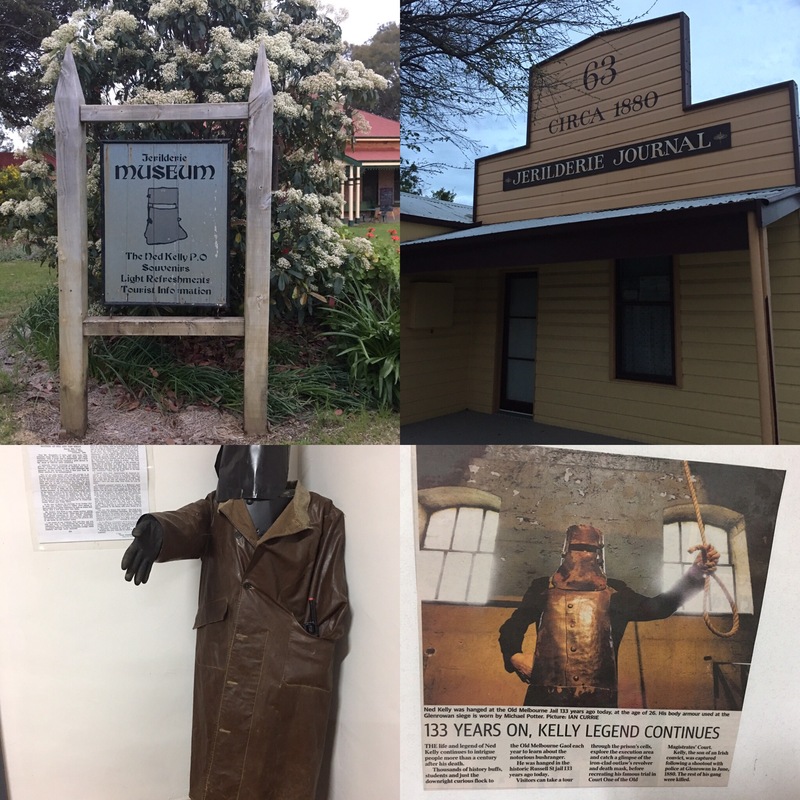 The infamous Ned Kelly raided the hotel we stayed in back in the 1800’s. Here are some photos of the sleepy old town. 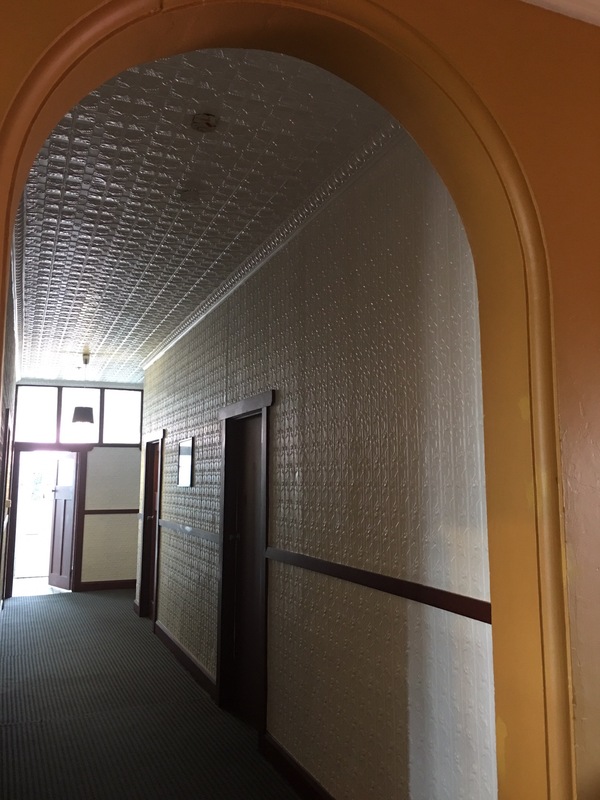 Th hotel we stayed in had beautiful tin walls and ceilings. There was a gorgeous lake near by which was great for bike riding. All up it was a lovely stay and we had so much fun! I’ve finished a yummy crochet project too. 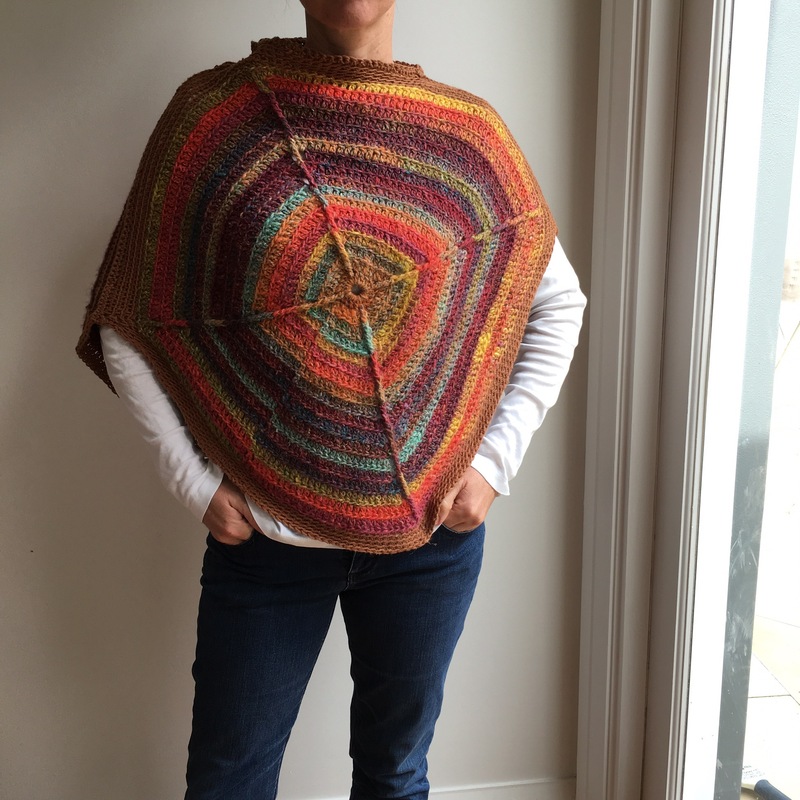 It’s all chunky yarn… a lot of research went into it. Photos coming up soon. Hope you are enjoying yourself where ever you are! Typically I would start off with… Teacher! Who me..! Oh No… Never… but seriously, Teaching Crochet has been a rewarding experience for me. I’ve honestly enjoyed taking a beginner through the journey of learning this beautiful art. 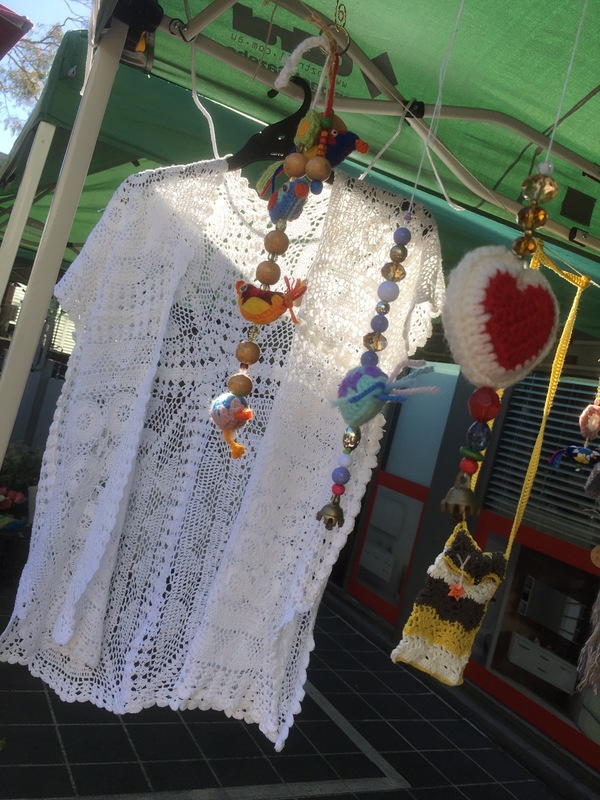 It astonishes me when people leave at the end of only a few weeks with such beautiful pieces especially as when some have never crocheted before. The best part of class is how everyone starts to help each other out and create a lovely community feeling. Class times are happy times where we talk about everything from work, fashion, kids, dogs, cooking, the weather and of course crochet. Eventually we laugh about it all and no one leaves as strangers. 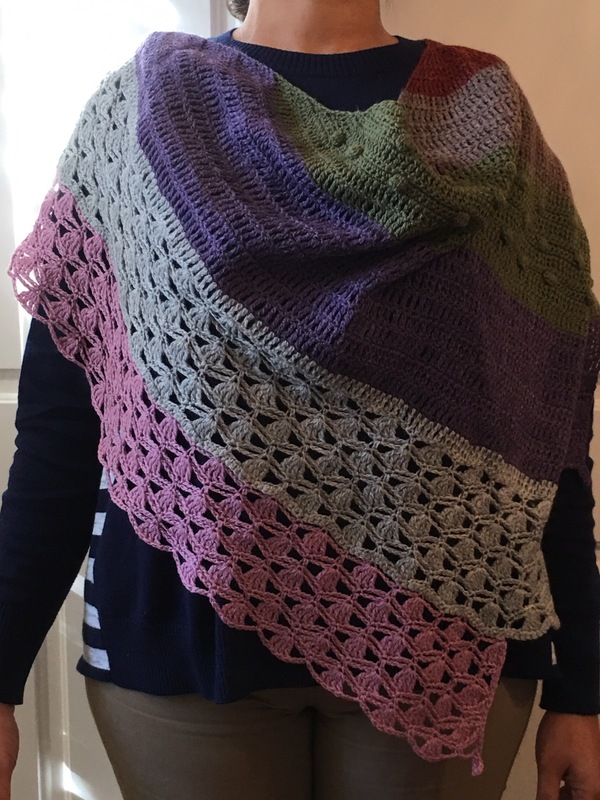 If you considering learning or teaching crochet, here are my few humble pointers that may help you. Clear course notes with lots of photos: Sometimes, I have a lot of people in a class which makes it hard for me to spend time with each person. Having clear photos on my notes help people experiment and try things on their own. Every person learns at a different pace: It helps to hand out a course booklet in the first session as everyone learns at a different pace so they can go ahead from the rest of the class if they would like to. As a teacher it’s important to spend time evenly amongst all students but it can be hard sometimes. It also helps if people have your contact details so they can contact you later on. 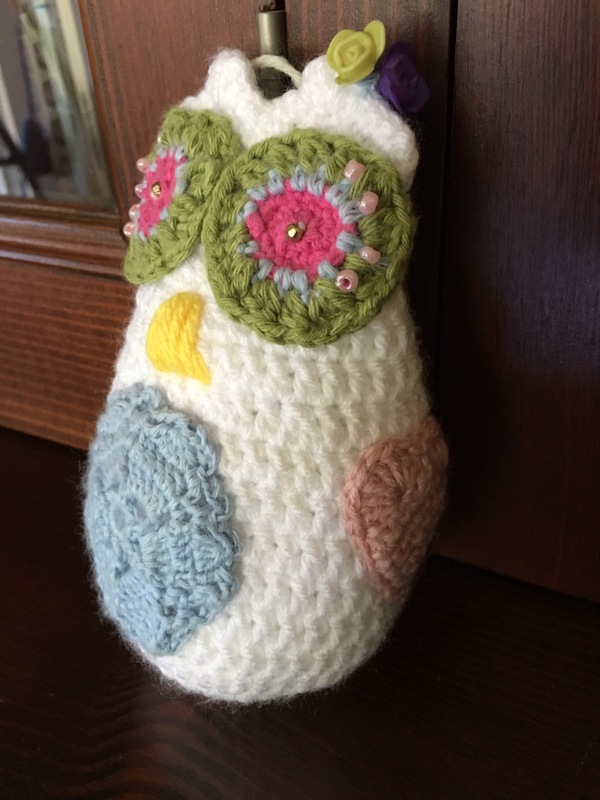 Teach slowly but surely: Patience is key to learning and teaching a new craft like crochet. People will appreciate a kind and patient attitude as many feel out of their depth when they realise they can’t use their fingers as they thought they would! A smile will go a long way in relaxing your student. Use the right names for each stitch: Spend time on each crochet stitch until people are confident with steps like yarn over. Call each stitch by its correct name. 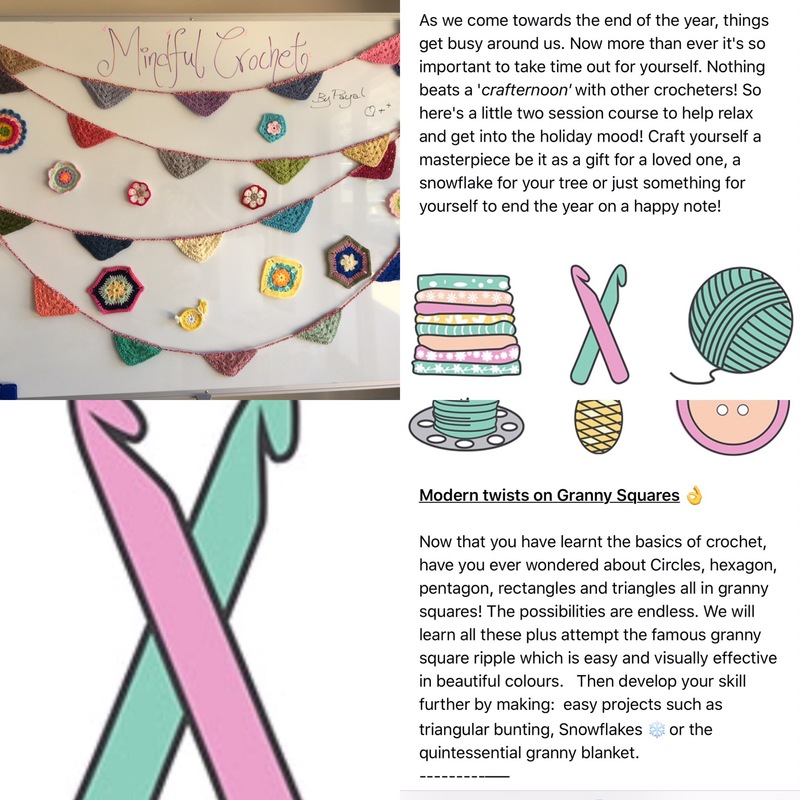 Once students master the concepts visually they find it easier to read patterns, attempt new stitches and make granny squares. 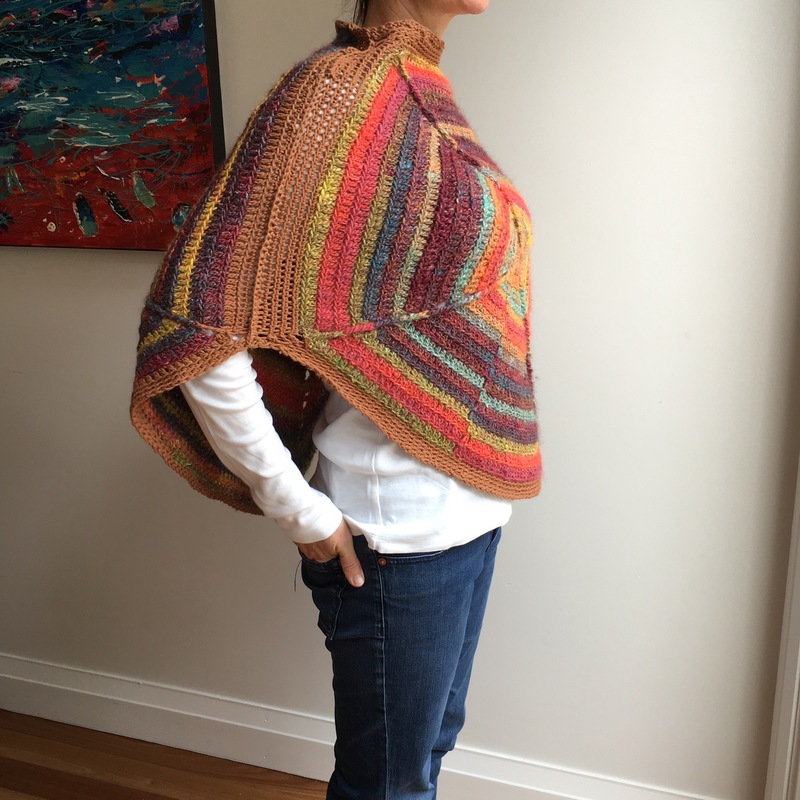 Practice makes it easy: crochet is an easier craft compared to many, but it does require practice to get it right. Encourage your student to practice and read up in their own time. It helps students to check out resources such as youtube, pintrest and other internet sites. Crochet books are a great way to read up if they are confused about something. Lastly, have a relaxed attitude because most people respond to a smile and laugh with you. Relaxing into the rhythm of the stitches whether you are a teacher or a student will make it fun for everyone. Don’t ever stop having fun, because crochet is all about expression in colour, texture, design and keeping yourself happy. Enjoy! 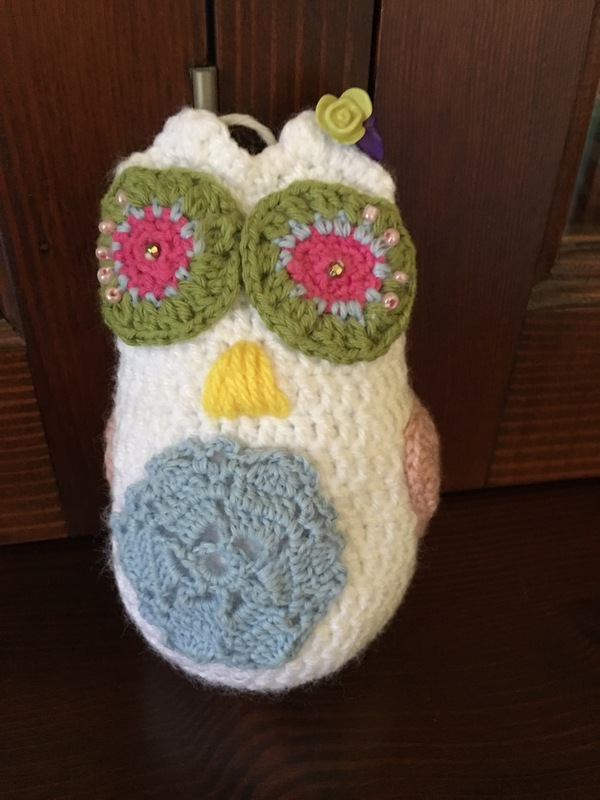 You know how I love messing around… The more I teach crochet, the more I want to learn too. 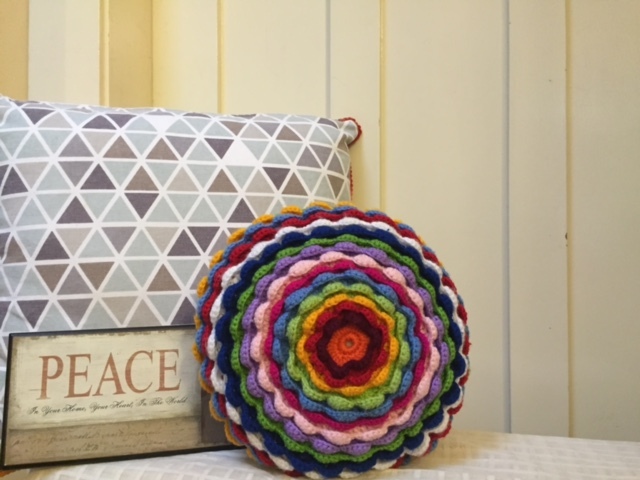 I’m my quest for developing the humble granny square to something much more…. I’ve made a couple of really exciting new designs…. Someday I’ll put up a photo of all the Owls I have made… It’s an entire family!